Patricia Anne Bederman obituary. Carnes Funeral Home. Our beloved sweet beautiful Mama Pat (Patricia Anne Sims) Bederman passed peacefully over the rainbow Saturday morning, May 12th 2018 at the age of 93. She will be missed and always loved with many precious memories. 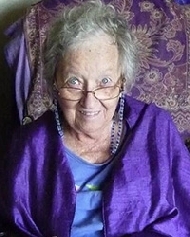 Pat was a generous spirit with sparkly blue eyes and a warm laugh. Her favorite colors were purple and blue. She was an easy going, patient, fun, adventurous mom, wife, relative, and friend to many. We celebrate her life and accomplishments with a few highlights. She was born to Pauline Douglas Bush Sims (a teacher) and Rudolph William Sims (a druggist) on December 21, 1924 in Osawatomie Kansas. She was so tiny she slept in a dresser drawer. She was active in Girl Scouts for many years. She was on the staff of Northeast High School (Kansas City, Missouri) yearbook for which she did many illustrations. She sang in school and church choirs and continued to sing in choir throughout her life as recently as autumn 2017. She was, also, a bell ringer at church for many years. After high school she and her family along with her younger brother Bill (Rudolph William Jr.) moved from Kansas City, Missouri to Houston. Pat transferred from Texas State College for Women and graduated from the University of Houston with a BA in psychology. Pat worked in the psychology department at the U of H where she met her future husband Jack (John Joseph Bederman 1-31-1923), back from service during WWII. It was love at first sight for both of them. They married on August 22, 1947. Pat was a talented artist creating art and craft works in a wide range of media. While Jack was getting his engineering degree Pat sold her beautiful hand painted ties, enamel jewelry, woven purses, and pottery in the gift shop at Hobby Airport for income while Jack mowed lawns and together they made their own furniture. Pat and Jack had four children -Gretchen (12-5-1950), John (6-21-1952), Paul (1-22-1955), and April (4-26-1957). The Bedermans loved entertaining and made many long lasting friendships with people from around the world. Everyone was always welcome to drop by just about any time day or night and always welcomed at the table. Pat and Jack did just about everything together. They enjoyed cooking together. Pat was a fantastic baker. Among other tasty treats, she was well known for her delicious homemade bread. They were active members of the Houston Archery Club, the Houston Bicycle Club, the Houston Weavers Guild and the Bellaire and Spring Branch Presbyterian Church. They enjoyed camping and traveling. One of their most memorable family trips was a 697 mile bicycle ride to visit Pat’s grandmother Bertha Taylor Bush. They made music together. They sang, Pat played the guitar and Jack the harmonica. Pat and Jack were devoted to each other in a loving marriage of 47 years. Pat loved reading. She and her mother Pauline were avid genealogists and together compiled a comprehensive family history reaching back to the 1500s. Pat, also, chronicled her family’s history in a huge collection of photo albums and journals. She always had her camera at the ready. She enjoyed photographing flowers and nature and created cards with these images that she shared with friends and family. Among her many artistic talents, Pat was a weaver, she wove yardage for beautiful clothing, she sewed many of her family’s special outfits, knitted for all four children and her husband. She was inclusive, generous way beyond her home, she did service work by knitting hats and gloves for 100 children living in an orphanage, knitted over 100 huipil style sweaters for children in other countries. She knitted over 500 stuffed bears for children in and out of hospitals. She was kind, very rarely complained about anything, was observant, and appreciated the beauty of nature. As her grandson AJ put it she was what a true Christian should be, loving and kind in word and deed. She loved her husband, children, grandchildren, great grandchildren and extensive family and she was loved in return. She will be deeply missed. Pat, and her husband Jack, both willed their bodies for medical research and teaching to Baylor College of Medicine. They were cremated and their ashes will soon be joined together for eternity in God’s loving arms.